Palm tablet to be "similar to the iPad"
Ignoring the strange wording here and there, it’s pretty clear what Palm and HP have in mind. But the iPad has set a very high bar, and despite being the most “tablet ready” mobile OS out there (our not so humble opinion), there are still significant hurdles facing webOS to properly make the jump from handheld smartphone to tablet. 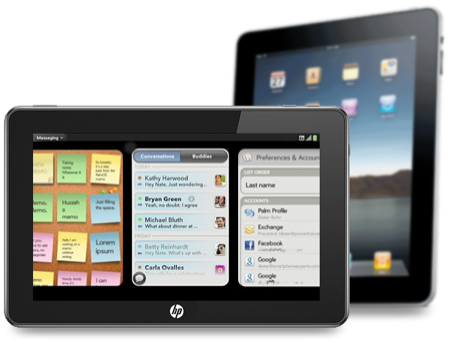 Then again, HP did say early 2011 for the webOS tablet, so maybe they’ve got those hurdles figured. Source: Engadget; Thanks to everybody that sent this in!